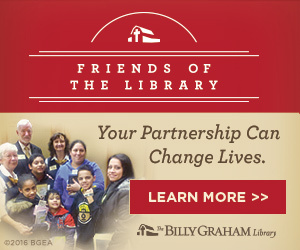 CHARLOTTE, N.C., Sept. 8, 2017 – This fall, the Billy Graham Library will host a series of new lunch and learn events for teachers as well as the annual favorite Men’s Breakfast and Tour. The new display “Answering the Call”—with a focus on the beginnings of Billy Graham’s early ministry—will also be featured through Oct. 31. 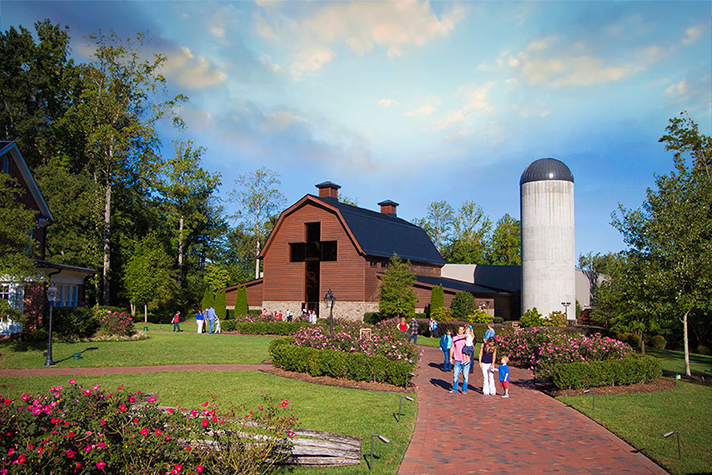 The Billy Graham Library will host the 5th annual Men’s Breakfast and Tour on Saturday, Sept. 16, from 7:30–9:30 a.m. Men of all ages are invited to enjoy a hot buffet breakfast followed by a message from Roy Graham, grandson of Billy and Ruth Graham and son of Franklin Graham. Tickets are $20 per person, and space is limited. Get your ticket. Teachers Lunch and Learn—Student resources, developed with educational curriculum standards in mind, are now available for various grade levels. 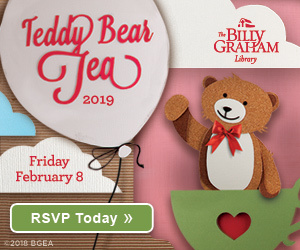 School administrators and teachers are invited to learn more about these standardized lesson plans and interactive experiences available for their students at a free luncheon. Dates available are: Friday, Sept. 22; Saturday, Sept. 30; Friday, Oct. 6; and Saturday, Oct. 14, with lunch and presentations scheduled from 11 a.m.-1:30 p.m. A guided Journey of Faith tour with the opportunity to experience the curriculum first-hand will follow. Space is limited and registration is required. For information or to RSVP, please call 704-401-3263. Oct. 6, 8 a.m.: Pastors Breakfast—Pastors are invited to come enjoy a time of fellowship, prayer and an encouraging word from Billy Graham’s own pastor, Dr. Don Wilton, along with pastries and coffee. Each pastor in attendance will receive a small token of appreciation. Admission to the event is free, however advanced registration is requested due to limited space. Register now. Oct. 21, 9:30 a.m.-3 p.m.: Bikers with Boxes—The 10th annual Bikers with Boxes charity ride event brings together thousands of motorcyclists from across the region. In 2016, bikers brought over 5,400 gift-filled shoeboxes for Operation Christmas Child. Attendees will enjoy music, fellowship, giveaways, and complimentary lunch offered from 11:30 a.m.-1:30 p.m. Pre-register for the event. Nov. 10, 8-10 a.m.: Veterans Day Breakfast and Tour—Military veterans of all ages are invited to this special event to hear an encouraging message from retired U.S. Marine Corps Brigadier General Jim Walker, enjoy a buffet breakfast, and tour through the Journey of Faith. The event is free, but advanced reservations are required. Reserve your spot now. Nov. 17, 6:30-8:30 p.m.: Ladies Night Out—Start the Christmas season by previewing the annual Christmas at the Library at the Billy Graham Library. Ladies will enjoy hors d’oeuvres, be amongst the first guests to see the Library’s Christmas decorations, and hear from granddaughter of Billy and Ruth Graham and daughter of Franklin Graham, Cissie Graham Lynch. After the program, attendees will have the opportunity to meet Cissie Graham Lynch and will receive a 10% discount at Ruth’s Attic bookstore. Tickets are $20 per person and seating is limited. Purchase tickets online or call 704-401-3256. Visitors to the Billy Graham Library between now and Oct. 31 can see the new “Answering the Call” display in The Journey of Faith tour. 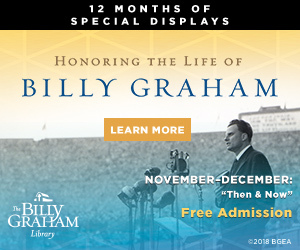 In honor of the 70th anniversary of Billy Graham’s first citywide campaign, the story of the Billy Graham Evangelistic Association’s beginning is told through photos and memorabilia. See how God assembled the original team of Billy Graham, Cliff Barrows and George Beverly Shea, and how the ministry grew to impact millions around the world. 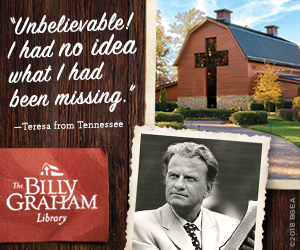 For additional information, including tickets, registration and event details, visit BillyGrahamLibrary.org.